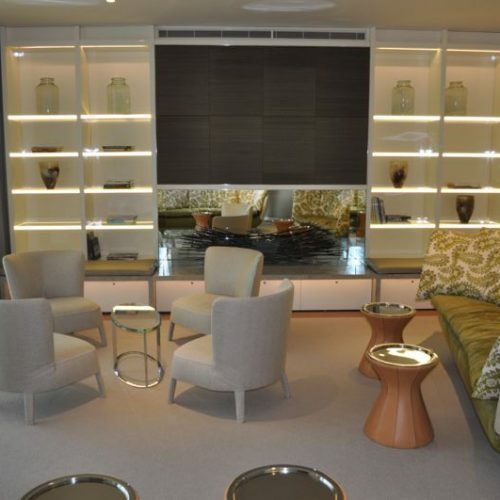 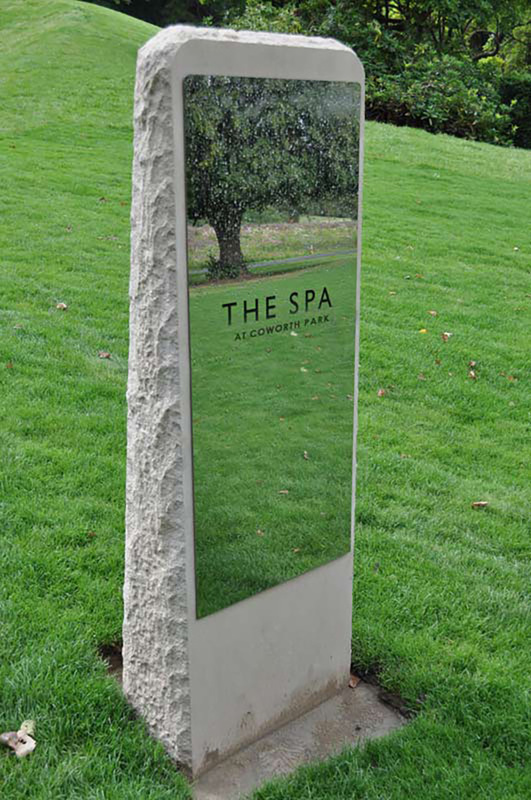 Coworth Park Hotel & Spa as part of the Dorchester collection, opened in September 2010. 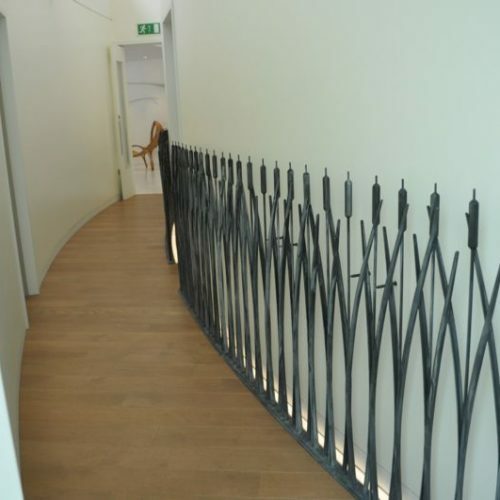 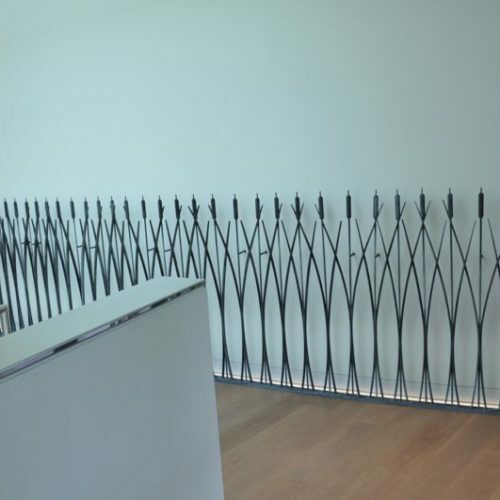 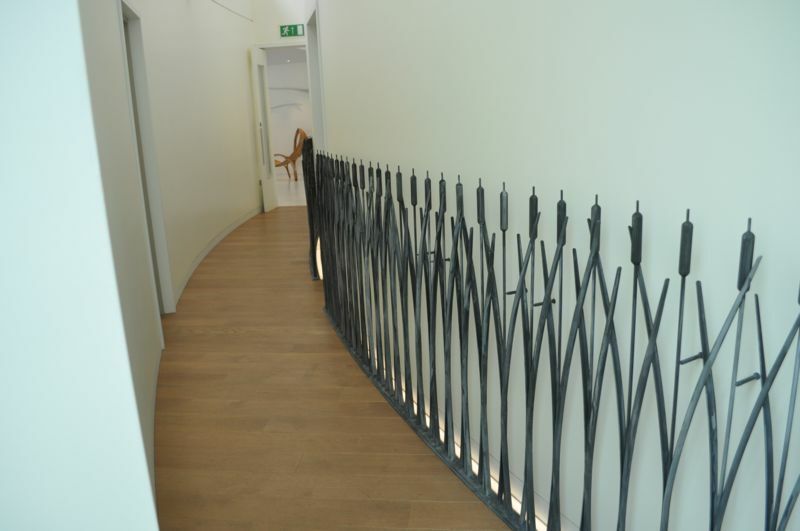 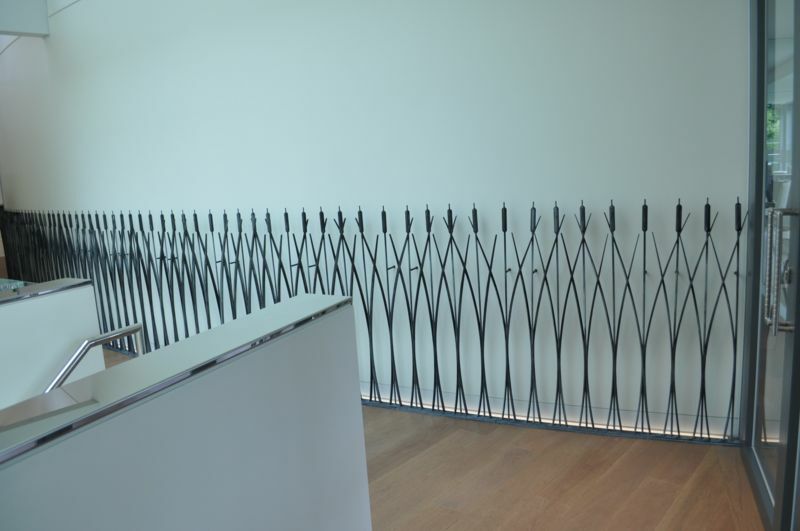 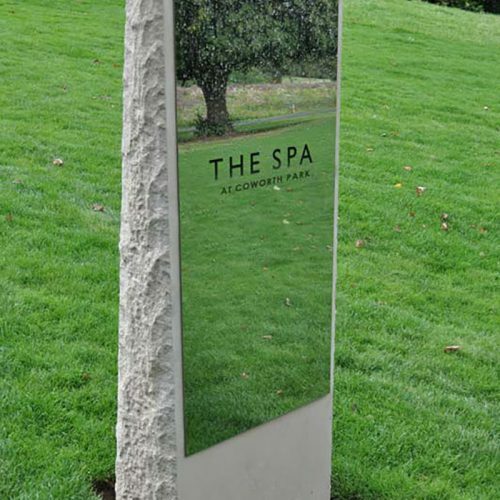 Ian was commissioned by Fox Linton Associates to make a 54 metre wall sculpture that runs the entire length of the spa’s main corridor, then continuing outside along the wall of the main entrance leading into the spa. 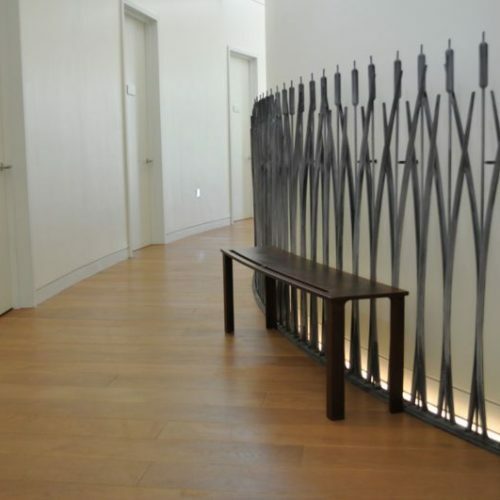 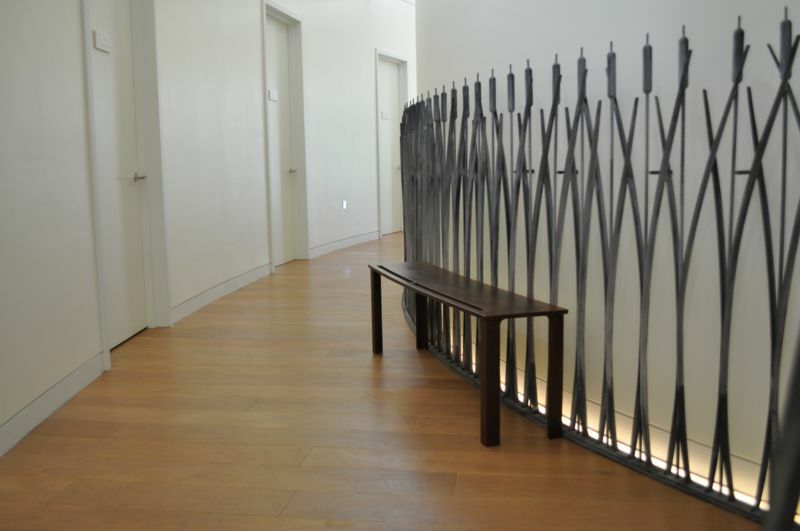 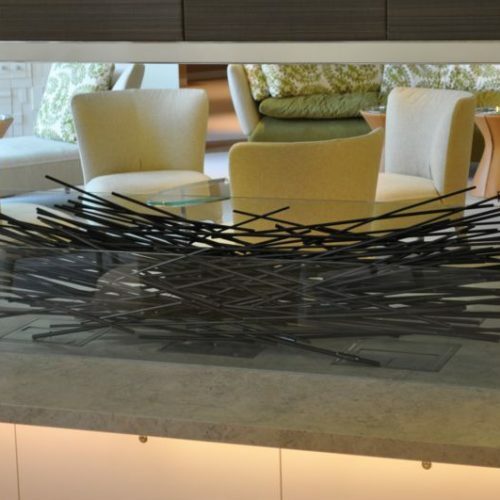 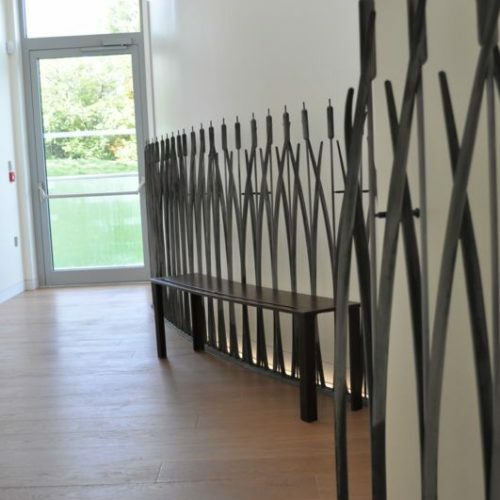 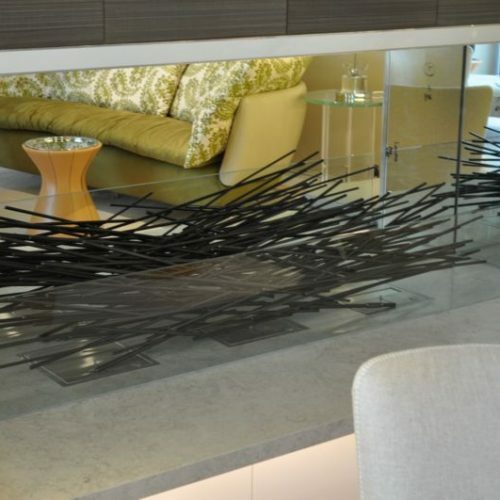 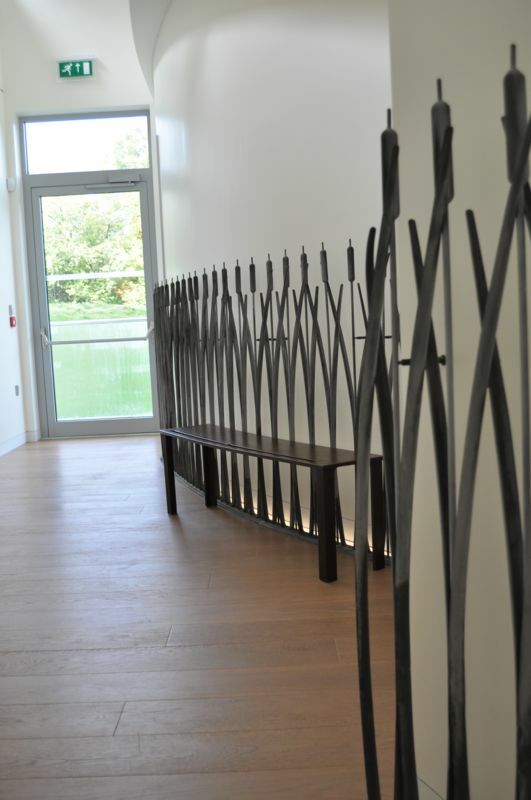 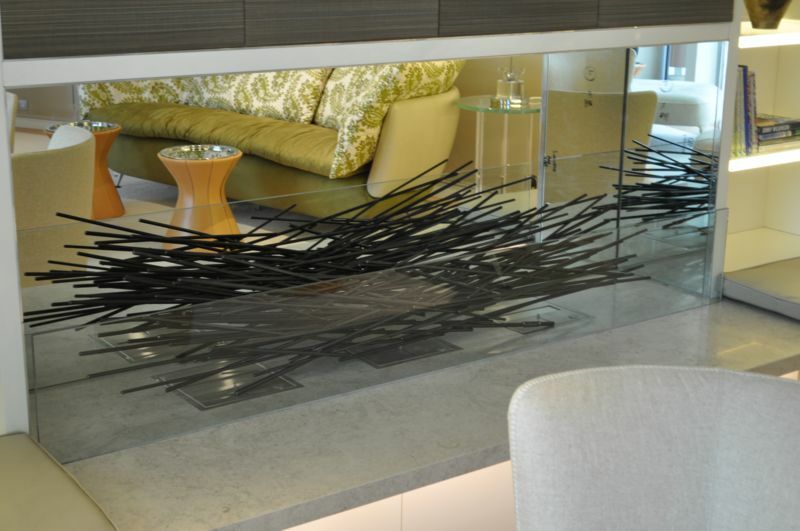 Other commissions for this project included a selection of 16 sculptures for the main hotel, as well as two contemporary fire baskets and three heavy gage steel benches. 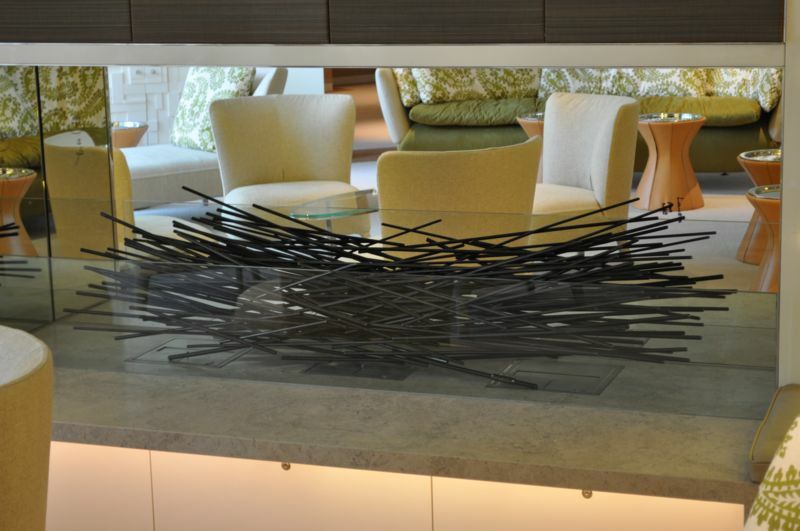 The project took almost a year from start to finish and involved a lot of sleepless nights and very long days. 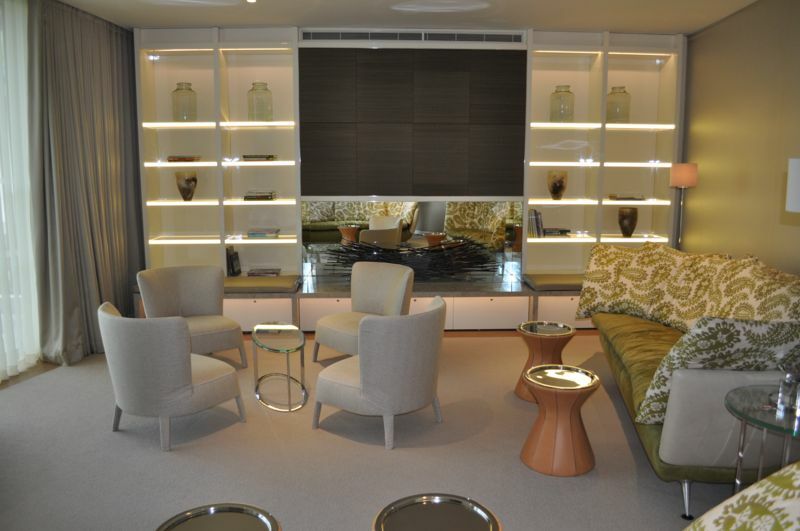 However, it was very well received by our Clients.